We're thinking about 2012 already?! C'mon people let's live in the now! Still for those of us who are willing to look past the stresses, smiles and strains of the festive season, these four covers represent the best cover art of the line-up Marvel has waiting to reward you on the other side. Behold! 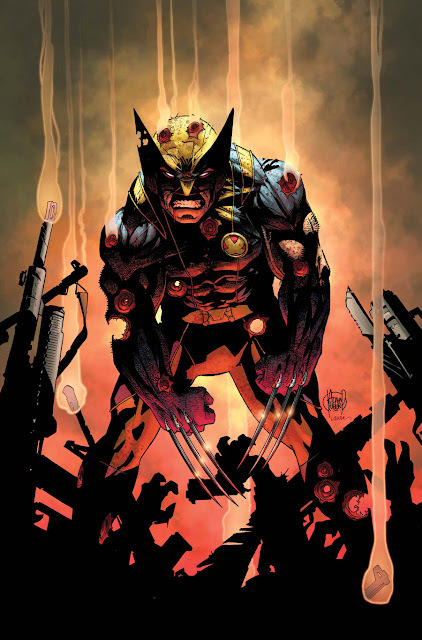 COVER OF THE MONTH: ADAM KUBERT - WOLVERINE #300 Okay, truth time,I'm not the biggest Wolvie Fan - I get him and love him, I just don't think he's the brightest crayon in the X-Crayola box. Still, when he is drawn as wicked as this, it's hard to maintain that stance for long. 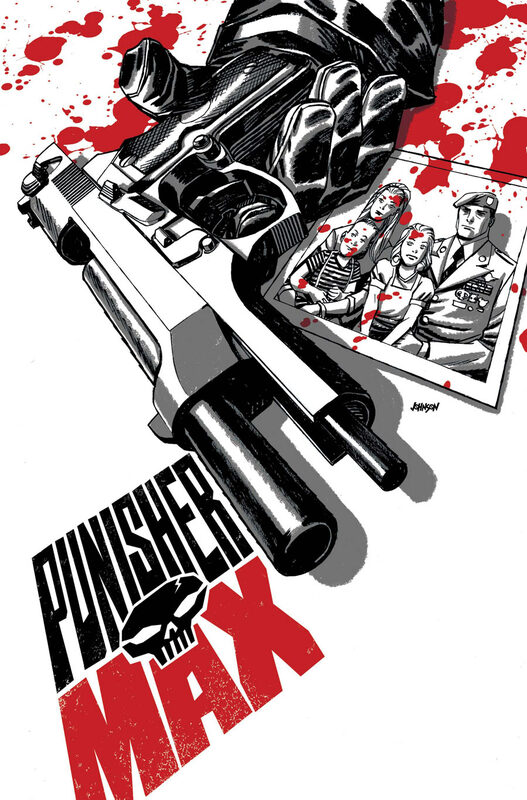 Sure it's the final 'one survivor only' confrontation between the Punisher and the Kingpin, but is there anything Dave Johnson can't cover? Comics, Walls, Billboards, I can't think of one place I wouldn't pay to see this man's art. 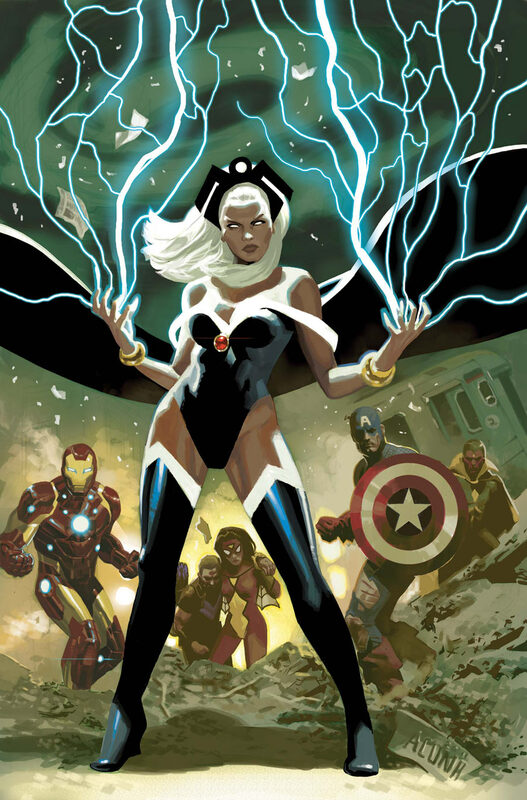 Storm is now an Avenger!? Something decent better happen to her, and soon. Marvel's main elemental hasn't seemed the same for a while now. I was hoping her rebirth would be part of the refocussed X-Men line, but if it's here with the Avengers against the combined forces of Hydra, AIM, the Hand, and H.A.M.M.E.R. under the leadership of Norman Osborn then so be it! For the full Marvel January run down, click the jump. That cover by Acuna is classic--looks like those painted covers Marvel would spring for on their paperback collections in the 70s. Storm's an Avenger now? Good. It's about time she got some decent face time again. Talk about a wasted character. She's one of the best. Yeah I liked Storm on the cover to Rob. I always thought Colossus was more Avengers material, but like you say Craig if it gets us decent Storm then so be it!